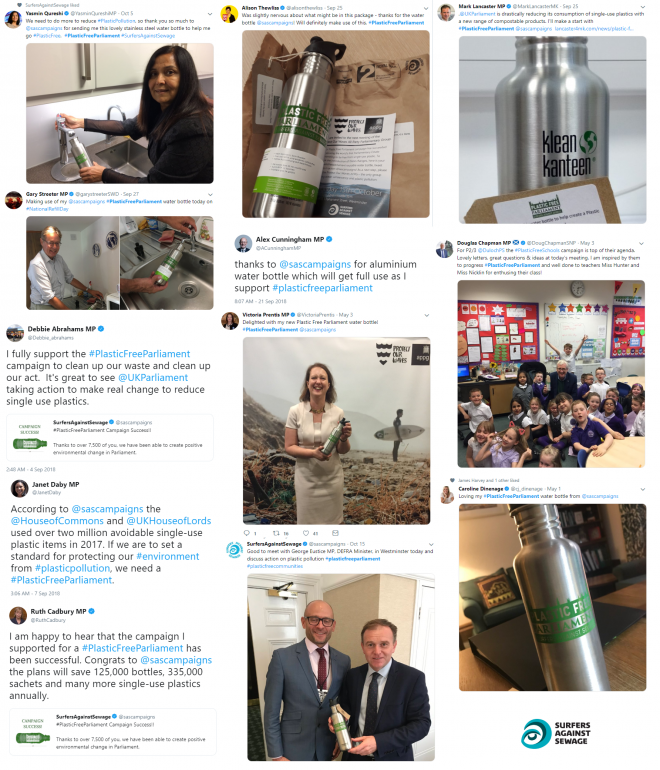 Following the challenge that Surfers Against Sewage issued to Parliament to get their house in order and free from single-use plastic (read about our recent campaign success here), we provided every MP with a free, reusable stainless steel Kanteen water bottle – to kickstart their individual commitment in tackling plastic consumption. 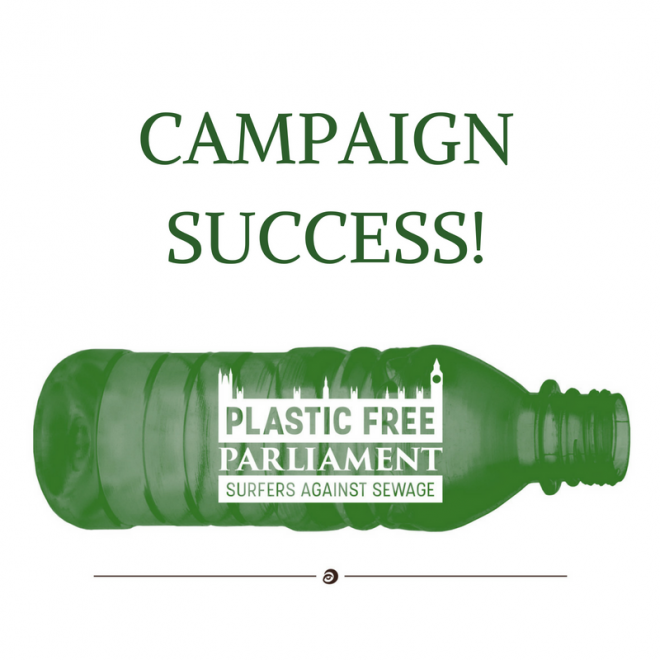 Prior to the campaign, over 120,000 single-use plastic water bottles were used in Parliament per year. These avoidable plastic products have since been eliminated, with instead numerous refill points installed around the estate.